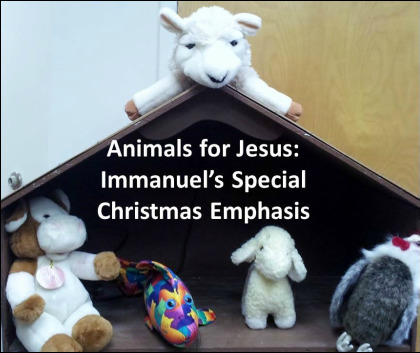 During December, order forms will be available on the Immanuel church campus and on our website. You can purchase the animal of your choice as a Christmas present for anyone—especially the people who have all they need. The animal you purchased will be sent by the ELCA to a needy family. You will receive a special card with which you can announce your gift to the person for whom you bought it as a Christmas gift. You can also contact Michele (one of our Social Ministry Team members) and have her assist you via email (chelecook621@gmail.com ) with your order.